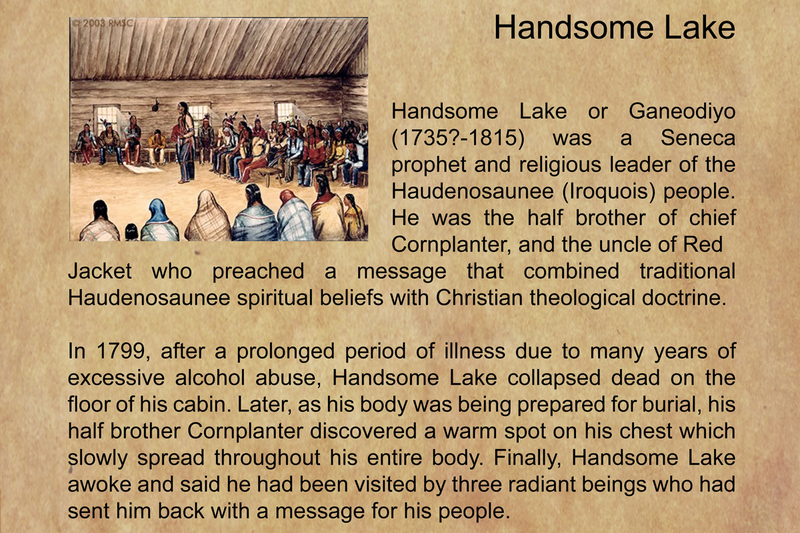 Electronic Shamanism is conceived as an exploration of technological mediation and as a forum for imaginative self-fashioning. 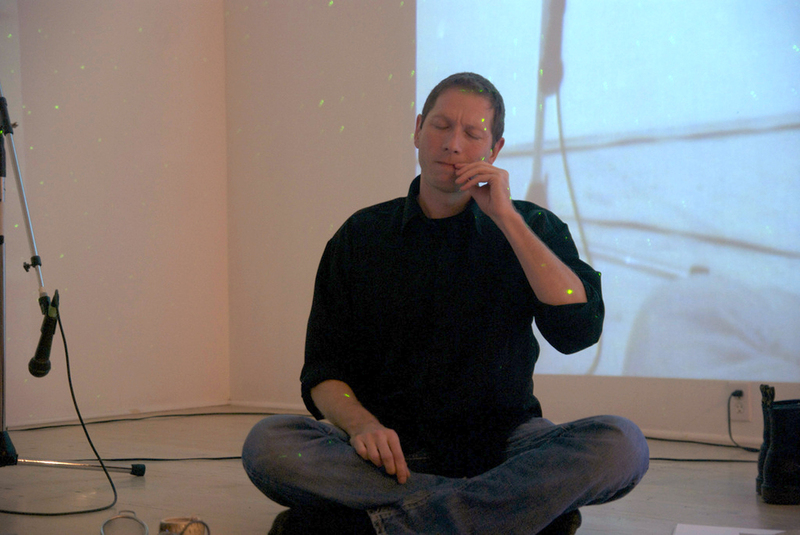 Using a variety of audio-visual strategies and self-hypnosis visualization techniques, the project explores trance induction and the speculative consideration of interactive (technological) possession. EVP Duet: Handsome Lake versus Alfred Jarry is an experiment with possession, conjuration and performance. We were talking about our favorite philosophers and wondering what would happen if they could have a conversation. 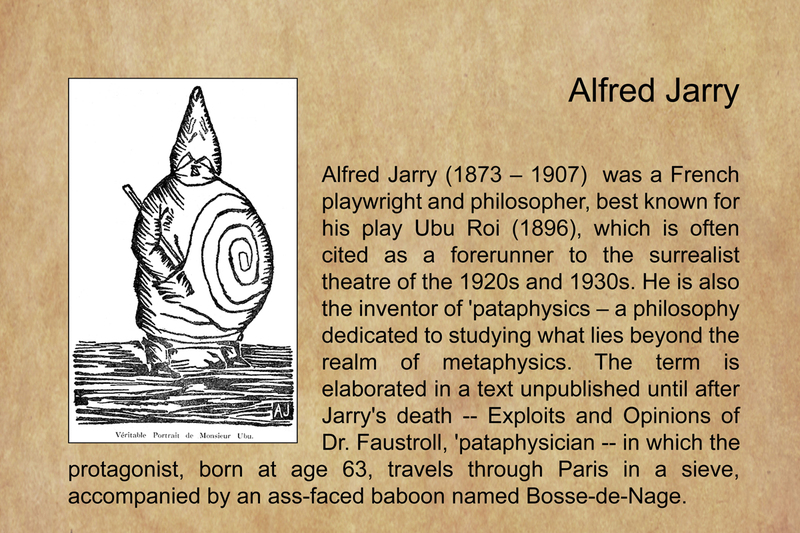 We decided we would try to put them in contact, using incantation and channeling methodologies -- to the best of our abilities. 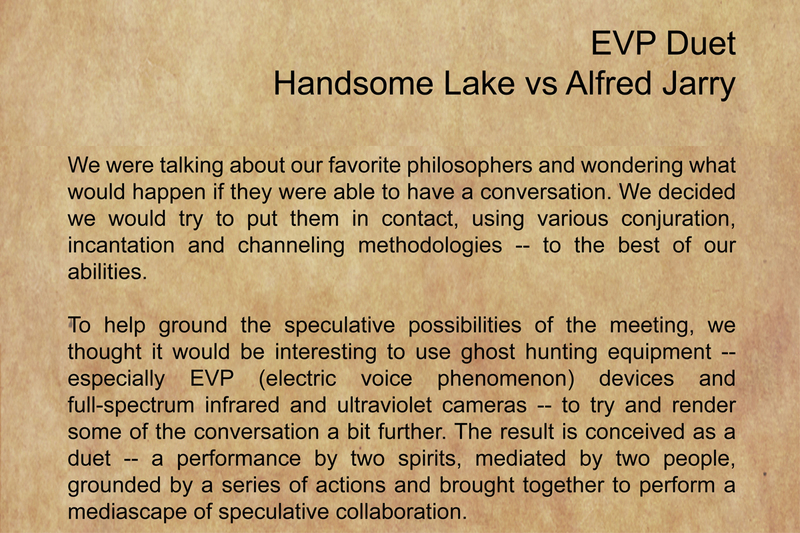 To help ground the meeting, we thought it would be interesting to use ghost hunting equipment -- especially EVP (electric voice phenomenon) devices to try and render the conversation a bit further. 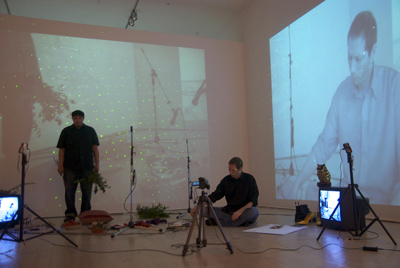 The result was conceived as a duet, two spirits mediated by two people, brought together in a performance of speculative actions. 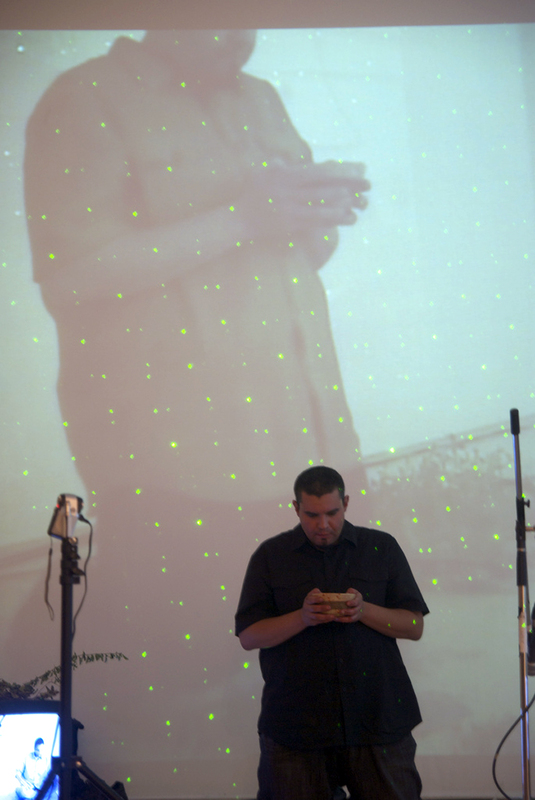 Strategies for Interactive Possession is a study of split self-consciousness, using a two-channel model of subjectivity to provoke sensory disorientation through the application of technology and trance. 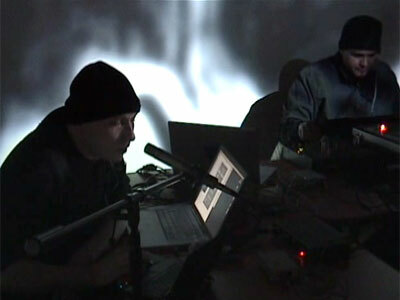 The performance incorporates experimental sound and video, brainwaves, neurofeedback and self-hypnosis techniques to create a forum for the exploration of vertigo, sensory overload and possession as tools for interactive self-awareness. 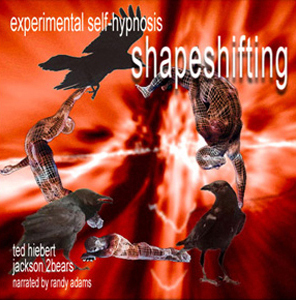 Experimental Self-Hypnosis: Shapeshifting is an interactive audio performance that uses researched self-hypnosis techniques and experimental sound composition to explore the notion of hypnotically augmented reality. 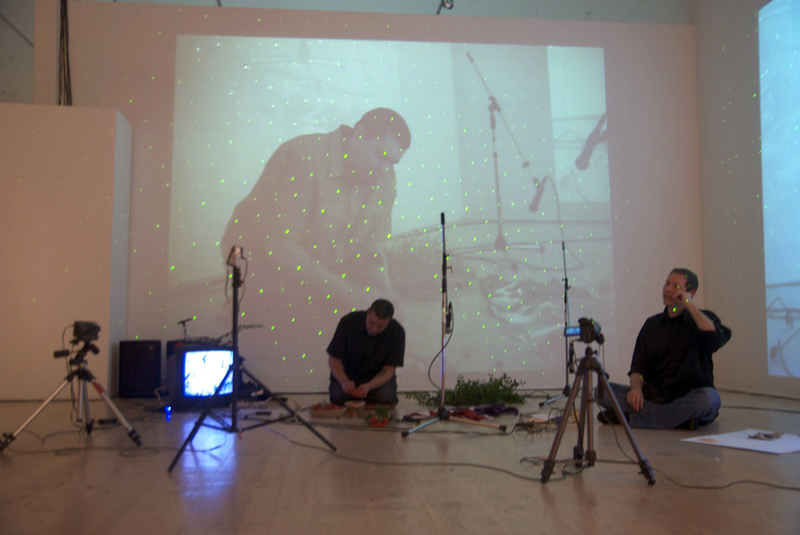 Working collaboratively in order to maximize the effectiveness of this performance, the sounds of 2Bears, the script of Hiebert and the voice of Adams come together to offer the audience an opportunity to engage in the possibilities of imaginative self-fashioning. In this lies the suggestion that autopoetic self-possession offers one potential way of reconstituting selfhood and performative identity in an age of technological possession.